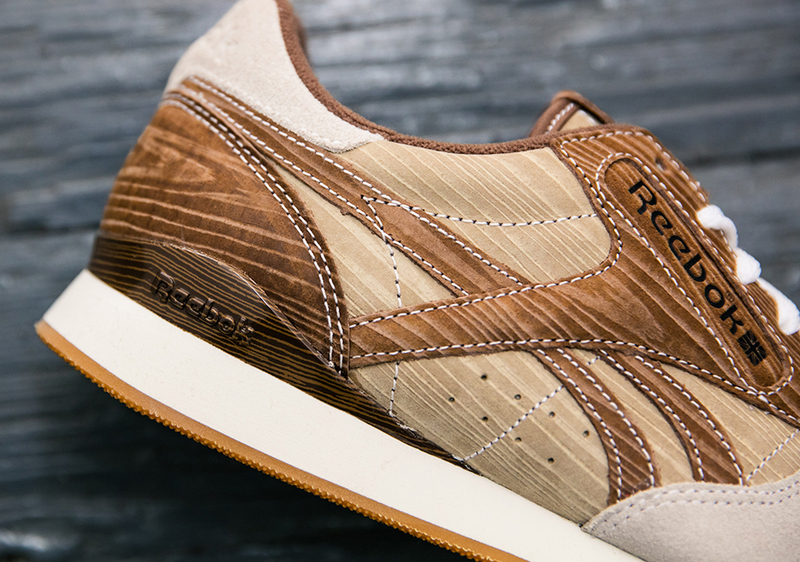 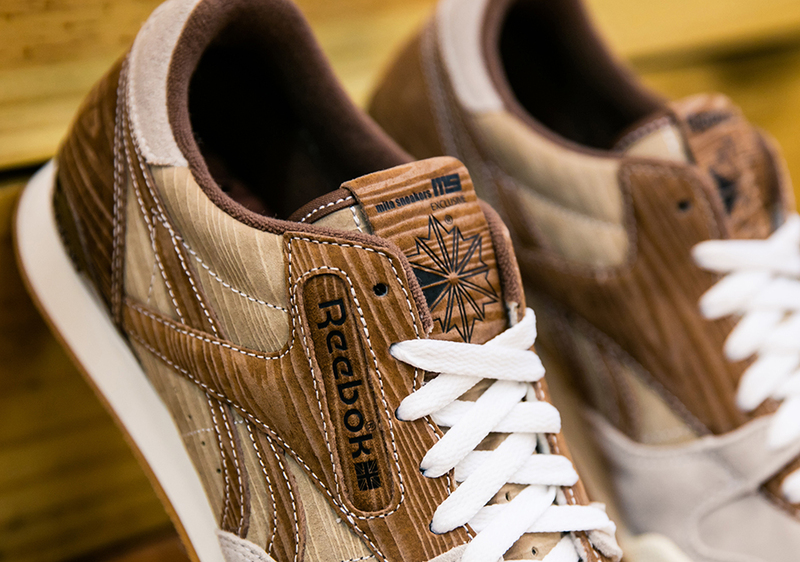 Japan’s mita Sneakers teams up with Reebok Classic for the ongoing Year of Court with this unique new “wooden” edition of the Phase 1 Pro. 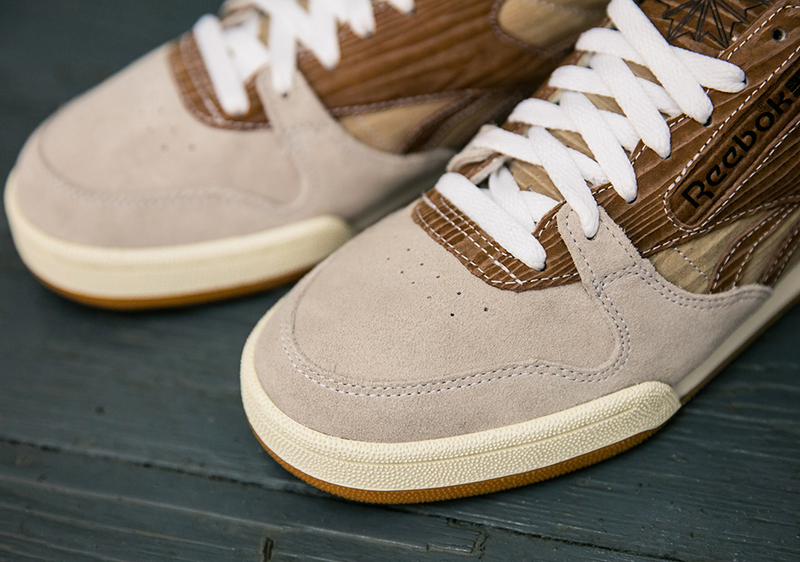 Using the vintage tennis sneaker, mita takes us back to the olden days of tennis when racquets were still made of wood by decking the Phase 1 out in a woodgrain-printed suede upper. 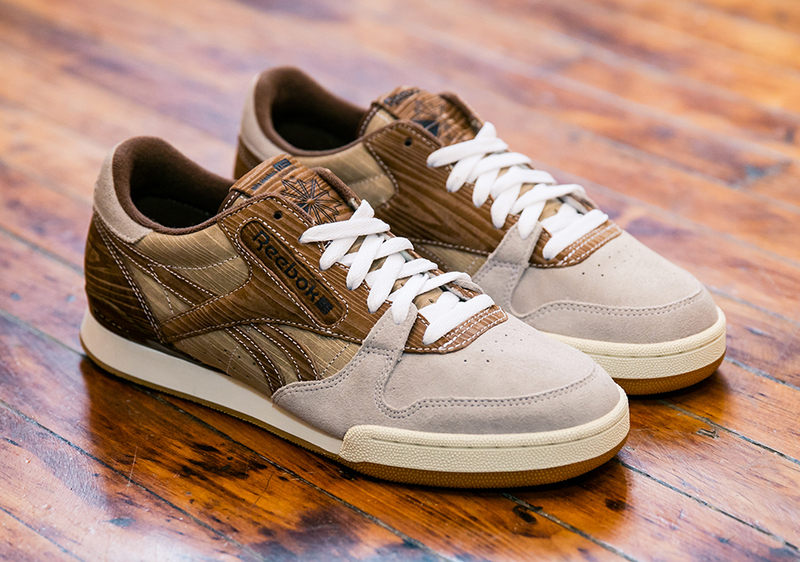 Two shades of woodgrain adorn the upper of the sneaker, contrasted with a solid light tan toe and the 1984 tennis shoe’s original gum rubber outsole. 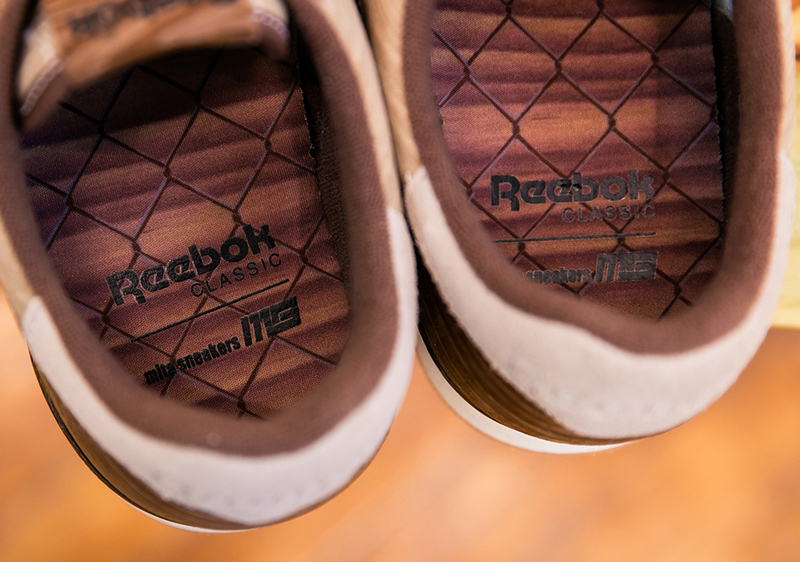 Completing the collaboration is mita branding on each tongue and graphic insoles of the shop’s signature chain-link fence. 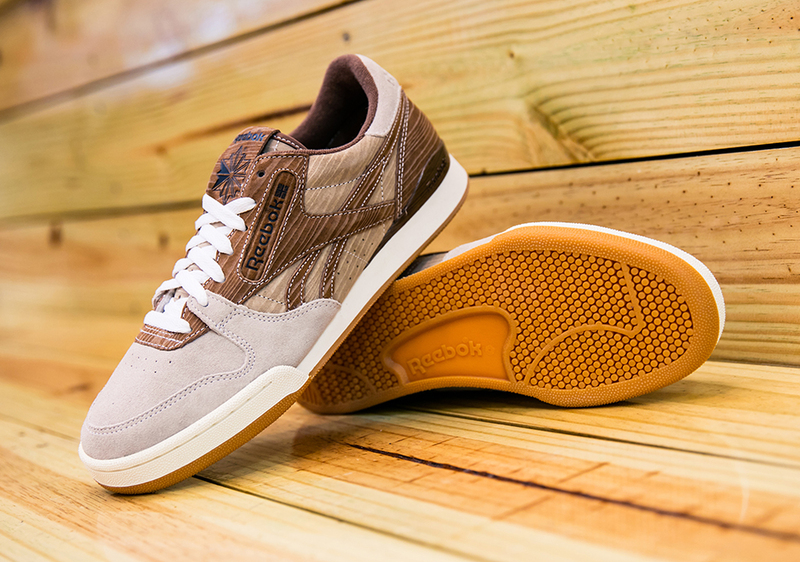 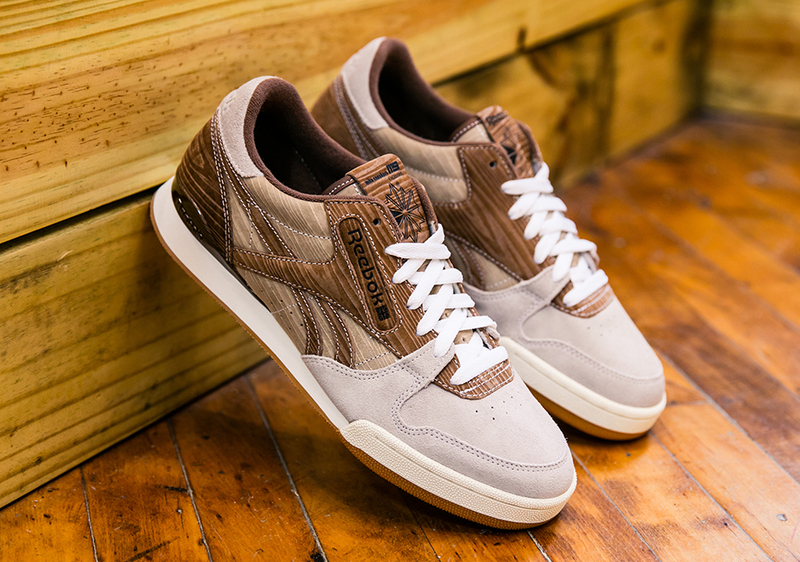 The mita Sneakers x Reebok Phase 1 Pro will release June 25th for $120 at Reebok Certified Network retailers.